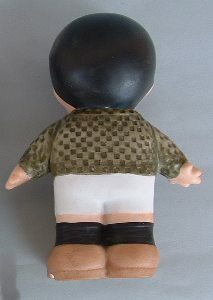 this is a little bisque figurine (biscuit) representing a boy with a chequered sweather. 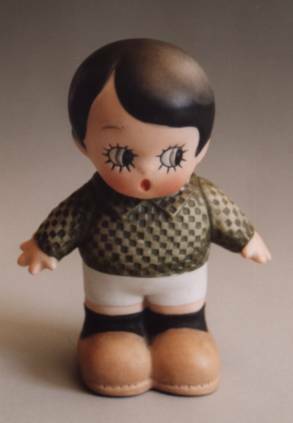 The boy is in a standing position and was made circa 1930. The seller declares an Austrian provenance for the object, but is impossible to verify its origin as the object is unmarked (number 2689 only). The boy is 5 in. high (cm. 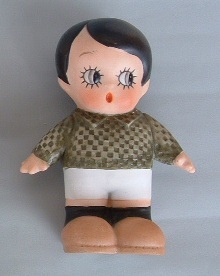 12) and was bought from an Italian dealer at an Antique Fair.